We had a frighteningly good time over the past week with our Exorcist Giveaway! Now that the contest is over we have contacted the lucky winner and sent the prize on its way. This week we’re continuing the theme of exorcism, only now we’re turning the tables on life & death! It’s everyone’s favorite bio-exorcist, Beetlejuice! The Cult Classics line features your favorite heroes and villains from classic horror, sci-fi, and action movies. Each figure is highly detailed and comes complete with movie-accurate accessories and display bases. 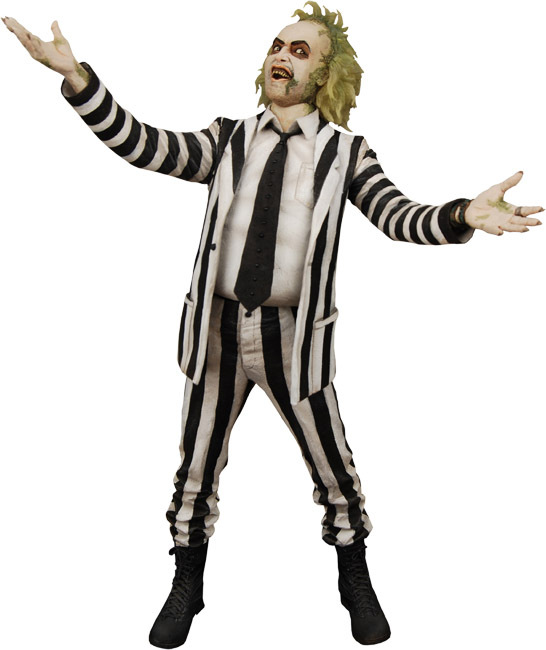 This 7” scale Beetlejuice figure comes from the surreal 1980s Tim Burton movie Beetlejuice. He’s an obnoxious freelance “bio-exorcist” hired to scare away the living, but secretly he’s trying to scheme his way back to life. Includes snakes and Handbook for the Recently Deceased accessories. 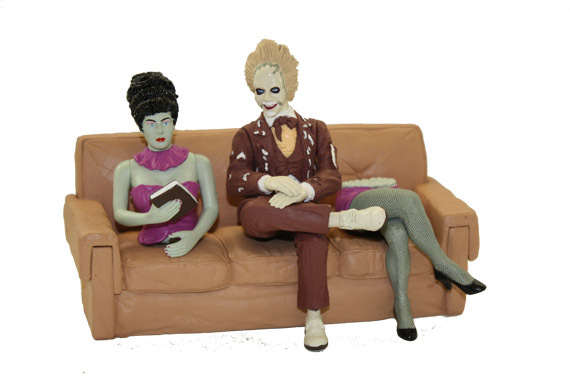 This highly detailed diorama set recreates the classic “Waiting Room” scene from Beetlejuice! The “ghost with the most” is seated in the waiting room of the Afterlife, with the two halves of an unfortunate magician’s assistant on either side. The 4-piece PVC set is approximately 8x6x5″ when assembled. 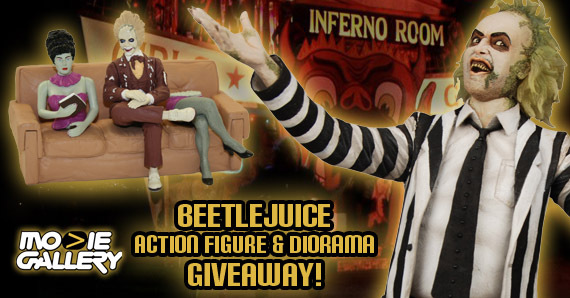 This entry was posted in Contests & Giveaways, The MG Blog and tagged beetlejuice giveaway, giveaways by mgadmin. Bookmark the permalink.